Guruji Shri Narendra Babu Sharmaji has started new section in his Bruhat Brahmanda programme called Ashtadasabhuja Durga Darshana. In which Guruji reveals the details on Lalitha Sahasranamam. Guruji have divided the Lalitha Sahasranamam into 18 sections, he plays each section and reveals the Goddess Durga Temple related to it. 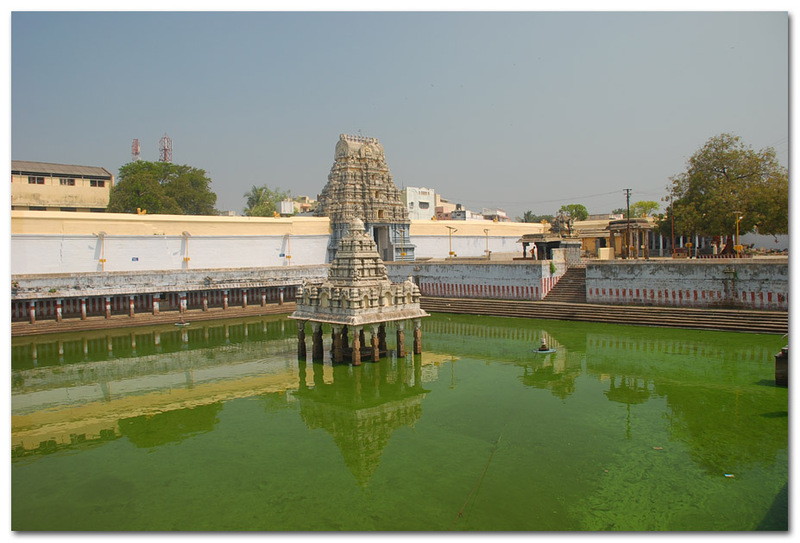 The Fourth Temple in Ashtadasabhuja Durga Darshan is Kanchi Kamakshi Amman Temple, Kanchipuram. The Lalitha Sahasranama verse played by Guruji, is given below. Inner Prakaram: There is a separate sannithi for the south facing Utsavar image of Kamakshi on a raised pavilion in front of the east facing moolavar image. There is another sub shrine for Bangaru Kamakshi on the Southern side - only a framed photo is kept here. The original Bangaru Kamakshi idol is in a temple in Thanjavur. On the western side there are shrines for Kasi Annapoorni, Ayyanar & Adi Sankara. Garbha Griha: Surrounding the garbha griha are idols of Perumal, Lakshmi & Ardhanareeswa on South side, Aroopa Lakshmi, Varahi & Ganesha on the North side. 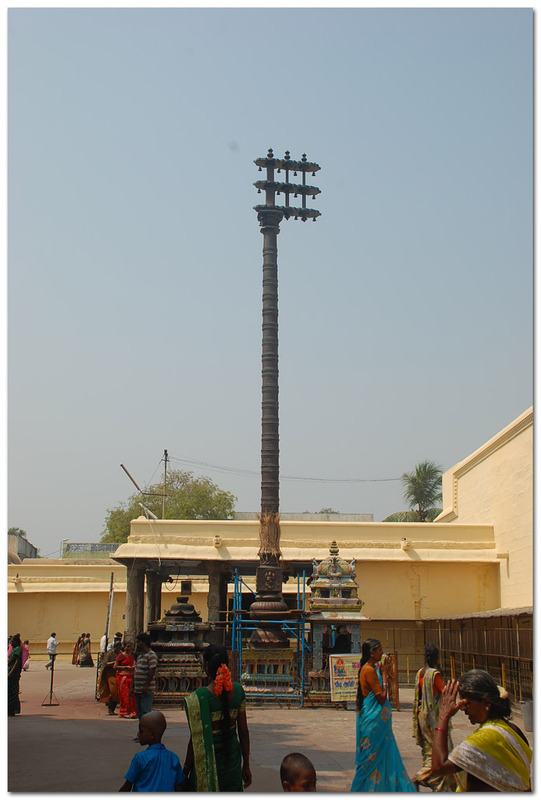 Here there is also a Nabhi Pillar - signifying that this is one of the 51 Sakthi Peedams where the nabhi has fallen. The Sri Chakra is installed on the East side just in front of Kamakshi Amman. 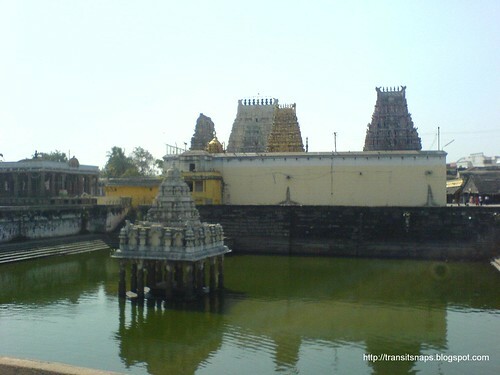 Outer Prakaram: You see the Nandi Mandapam & the Dwaja Sthambam as you enter through the gopuram on the eastern side. 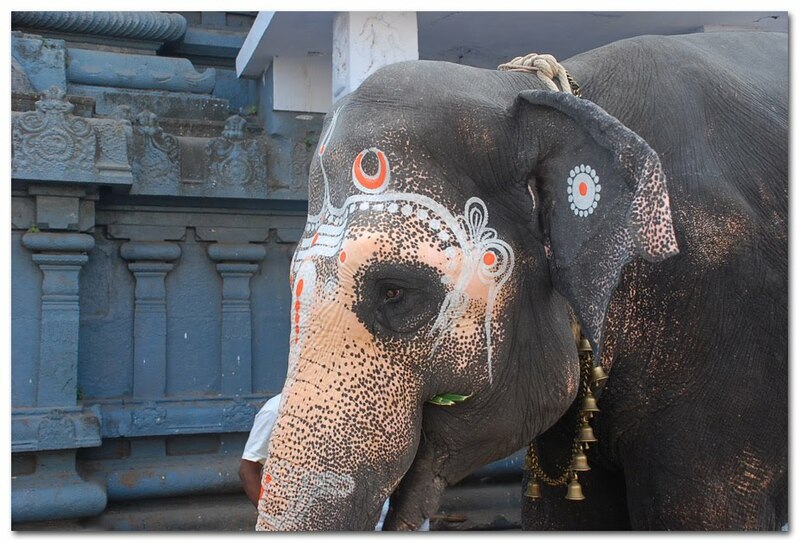 The outer prakaram also houses the temple tank, the 100 kal mandapam, the Dwajaa Rohana Mandapam & the stables for the temple elephants. 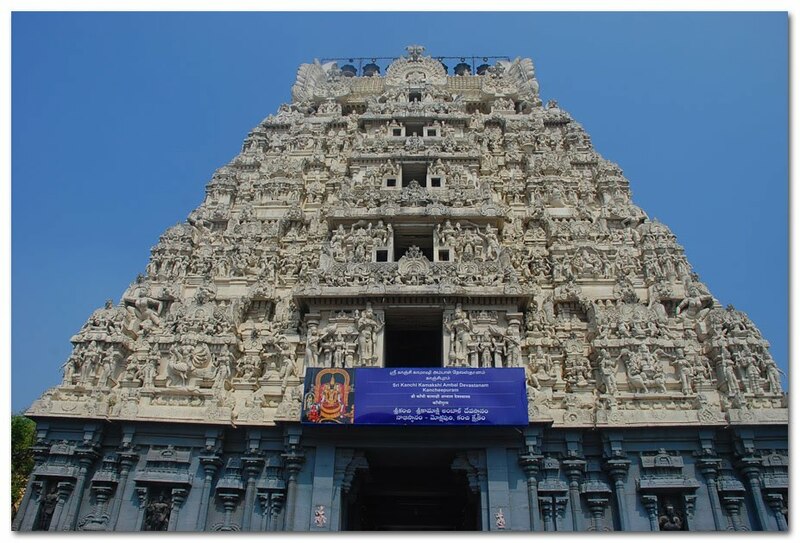 Imposing views of the Golden Vimanam can be had from the outer prakaram. Kanchipuram - 631 502. Tamil Nadu, INDIA.